It's not often in a wedding photographer's career that they get to experience such a unique ceremony like a traditional Nigerian Engagement ceremony. The beauty of life and love is to celebrate and cherish all this awesome World has to offer. I love that Callie & Temi chose to celebrate both of their family history's by having their friends and family gather and spend two days honoring their love. 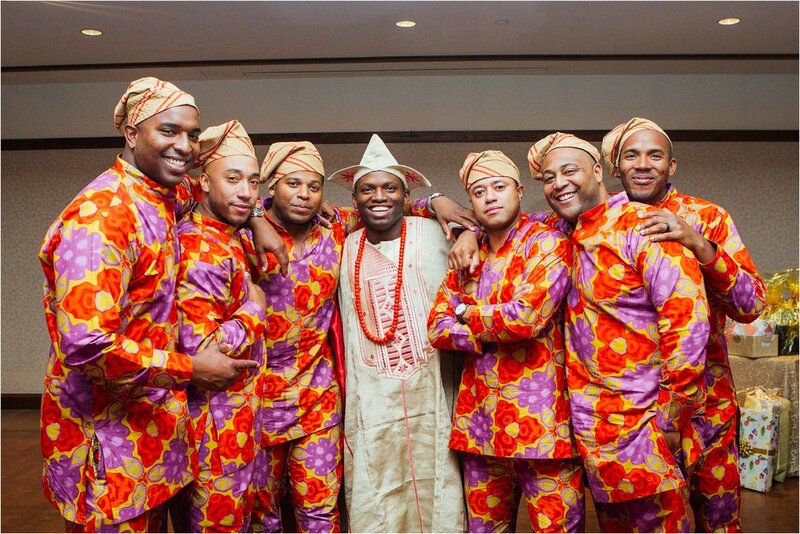 I learned so much about the Yoruba Region of Nigeria and the details of a Nigerian Engagement ceremony. The ceremony is so full of color, life and love. So much dancing, laughing and joy - in all sense of the word, it is a celebration! Traditionally, the groom's family comes to the bride's family home to ask them for her hand. For Callie & Temi's ceremony, the chairs facing each other represented the separate homes. Temi's family entered second, as if to come into Callie's family home. Once Temi's family enters, Callie and her friends come in, where she receives a blessing from her family. 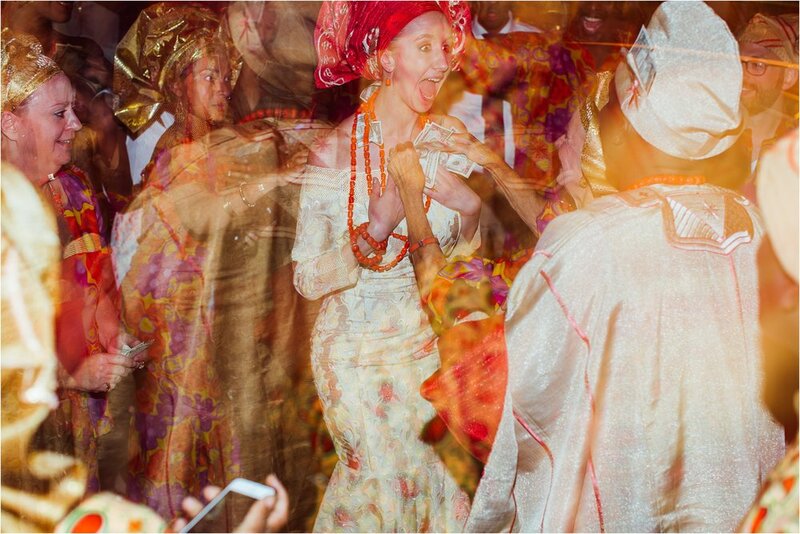 Once she has received her blessing, Temi joyfully dances in with his friends. Temi then prostrates, or lays on the ground, three times - once with his friends and by himself for Callie's family, for God and once again for his family. This is to signify the formal request of Callie's hand in marriage. Throughout this entire process, there is an Alaga Iduro (or MC) who coordinates the accuracy and progress of the ceremony. A formal letter of proposal is presented by Temi's family, read aloud asking for Callie's hand, then followed with an acceptance letter read aloud by Callie's family. 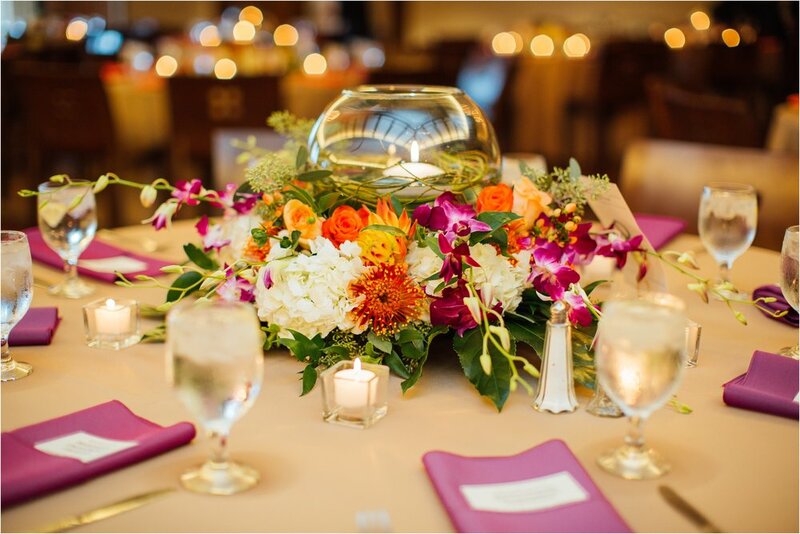 In addition to all that the groom must do to request the bride's hand in marriage, his family provides a table of gifts to offer - traditionally, these gifts include a bible with a ring. Temi places the ring on Callie's finger and Callie accepts the marriage by placing a hat on Temi's head! I can't express how lucky I feel to have gotten to know Callie & Temi and I would love literally nothing more than to photograph your love!